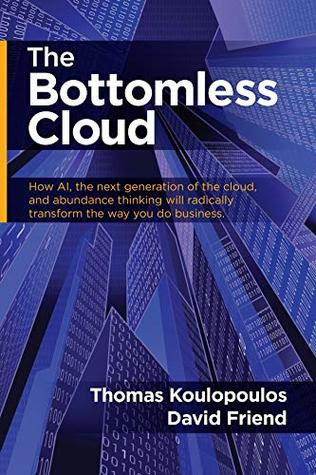 Co-author Tom Koulopoulos is the Chairman and Founder of Delphi Group, a 30 year-old think tank that advises Fortune 500 companies and governments on future trends. He is the past executive director of the Babson Center for Business Innovation, the author of ten books, an adjunct professor at Boston University, and a contributing editor for Inc.com. Co-author David Friend is co-founder and CEO of Wasabi, a revolutionary cloud storage company, Computer Pictures Corporation, Pilot Software, Faxnet, Sonexis and Carbonite. 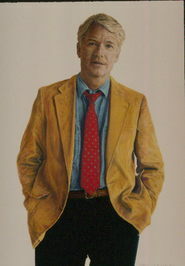 A graduate from Yale he attended the Princeton University Graduate School of Engineering where he was a David Sarnoff Fellow. David is on the board of Berklee College of Music. The joy of this little book is how manageable the new information is delivered, related in a learned yet accessible manner, allowing all reader entry into the promises of the future of the Bottomless Cloud. The book is a sound adjunct to business planning for survival in the future, but it is more than that: it is a journey toward understanding the inevitable possibilities the competitive battlefield of the future.